As a marketer for your company you might need to think outside the box sometimes. What can you do with the concept of interesting people? You might think it is an innocuous concept, but with a little Google News and a few added sentences you can find some pretty interesting ways to create a new email campaign. Today almost anyone can be famous good or bad. A picture that might go viral might be uploaded in a negative fashion, but become a lesson to all who laugh. Another might be the very picture that gains fame for someone or a pet, which nets millions from products and appearances. Think about your emails. You get notifications from Facebook and Twitter when something posts something you would be interested in. Often it is a friend or family member who is passing something on that they found from someone else. Before anyone knows it the original post becomes viral. A viral video, which is where the term comes from has given rise to the concept of "viral internet content." A funny video sent to someone suddenly becomes the topic of conversation and passed on through emails, Facebook, Twitter and anywhere else. It turns into a email campaign for a savvy marketer who decides sharing a funny video to get attention and then offering their sale item or newsletter is the way to go. No matter how it happens, there is a key point—interesting people when combined with email can suddenly explode in fame. All it takes is a unique concept that gets people talking. There is a slim chance that an email filled with images and stories of interesting people will work as a marketing tool for everyone. In fact it is less than 1%. However, it is something to consider. What is your business about? Are you selling products or services? Think for a moment about someone selling a service relating to dementia. It’s a hot topic right now. What if that email includes a book title with image of the author, who is someone who wrote the book while experiencing the stages of dementia? 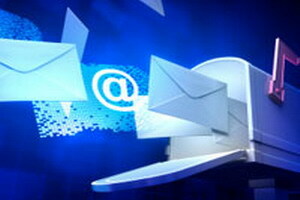 That type of email would get your attention if you are seeking information on the topic right? You want to know this woman’s life story. How could she go through the book and can you see where she had good and bad days? So there is a potential of using interesting people in your emails to give value to them. If you make the right choice and the person is already enjoying fame you might see some gain from sending out the information. It may not net as much as you hope depending on how it is written or the subject line you use. Yet, it is one way to consider increasing traffic to your site. Technology has given us an avenue with the ability to post and talk about a variety of things. Add in concepts like regular individuals becoming famous through actions they are often unaware of at first, and you too might find your business soaring all through the use of one email marketing campaign. It is true that email is largely becoming obsolete with posts on Twitter, Facebook and other sites telling of coupons and discounts. You should not give up though. Email is never going away completely. It is too functional for a variety of communications including exclusive offers you as a business owner do not want to send to everyone. It is also a way to talk longer and about more than just a blurb of information. As you consider whether interesting people will enhance your next email, think about how you can become an interesting person to someone else based on the knowledge you carry within you. You never know when something you do can be passed along because it has touched someone else without meaning too.